Rainy days are quite possibly one of the best for those lazy weekends, hold up in bed with a bag of cheetos and a 6 pack of soda. Okay, so lately it's been a little healthier. A couple avocados and a pot of green tea – But nonetheless.. I love a rainy day and I looove movies. This entry was posted in Lifestyle, Top 10 Lists and tagged anywhere but here, britney spears crossroads, crossroads dvd, crossroads movie, dirty dancing, drive me crazy, eat pray love, girl movies, girly movie list, girly movies, girly movies for a rainy day, happy girly movies, heartbreak kid movie, list of girl movies, list of girly movies, movies to watch on a rainy day, new in town, perfect movies to watch on a rainy day, rainy day movie list, rainy day movies, rainy movies, the heartbreak kid, there's something about mary, under the tuscan sun, what movies should I watch on a rainy day, what to watch on a rainy day, when in rome, where the heart is, win a date with tad hamilton. 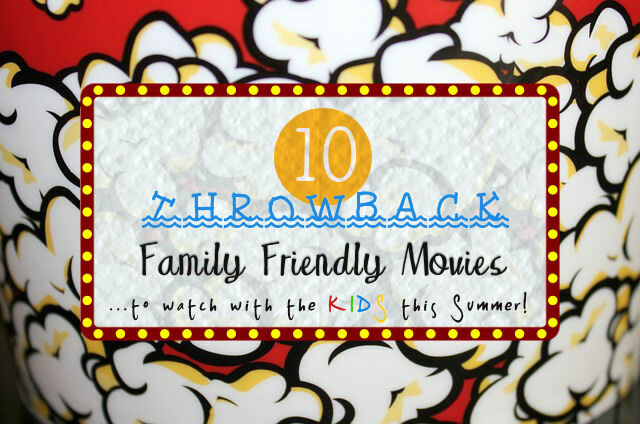 10 Throwback Family-Friendly Movies for Summertime! Summer Movie List for Kids!… Come on in and check out the best throwback, Family-Friendly Summer Movies the whole family can enjoy! This entry was posted in Gift Guides, Summer, Top 10 Lists and tagged awesome summer movies, family friendly summer movies, great summer movies, kids summer movies, kids summertime movies, movie lists, movies for kids, rainy day movies, summer camp movies, summer movie list for kids, summer movies for kids, summertime movies, throwback summer movies, top 10 kids summer movies, top 10 movie list for summer.